I have returned from another attempt to complete a Grand Slam for wild turkeys. And, as luck would have it, I have returned empty handed. In the past year, I have spent 7 days total on 2 trips to Florida, hunting for what some would say is the most difficult turkey to tag in the bunch. But, you may wonder … what is a Grand Slam and what bunch is she talking about? The Grand Slam is the basic slam out of 6 slams, per the National Wild Turkey Federation. Yes, there are 6 slam possibilities – kind of like ordering from the menu at a fast food place. Fortunately, the completion of a slam can be accomplished in a lifetime, and there’s not a set time limit on it. After you complete a slam, you may register it at the NWTF. This is the V3 Field Sport. 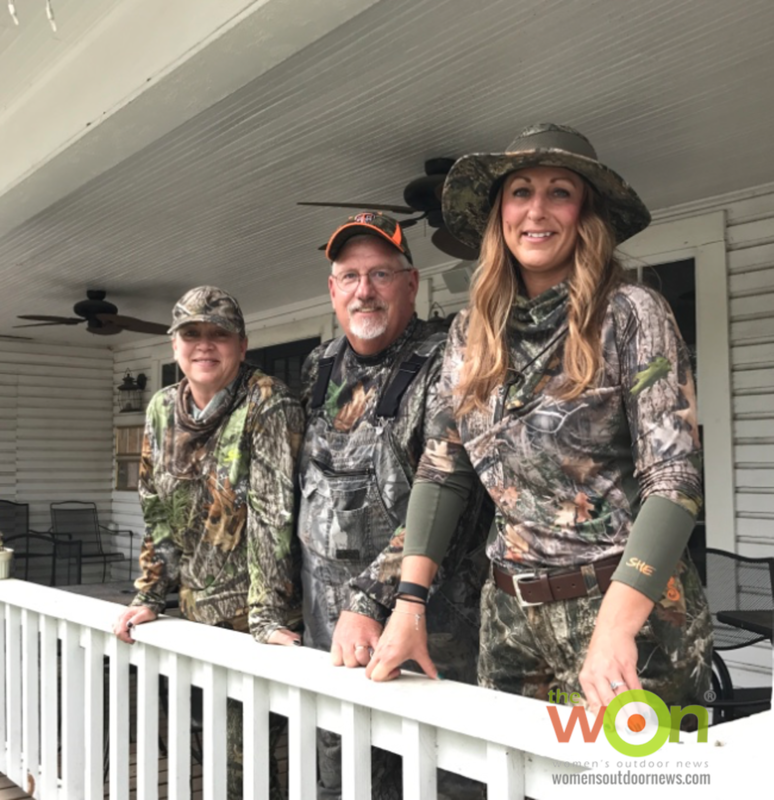 Last spring, Jessica Kallam, from Remington Outdoor Company, and I started – with such high hopes – our mission to complete a Grand Slam in 1 season of spring turkey hunting. Our trip began last March in Gainesville, Florida, and then took us to Tallahassee, and onto Sonora, Texas, and finally to Trinidad, Colorado. In a foreshadowing of what was about to happen, neither of us tagged an Osceola turkey, found in the region from Gainesville south. That put a bit of a damper on the whole thing. 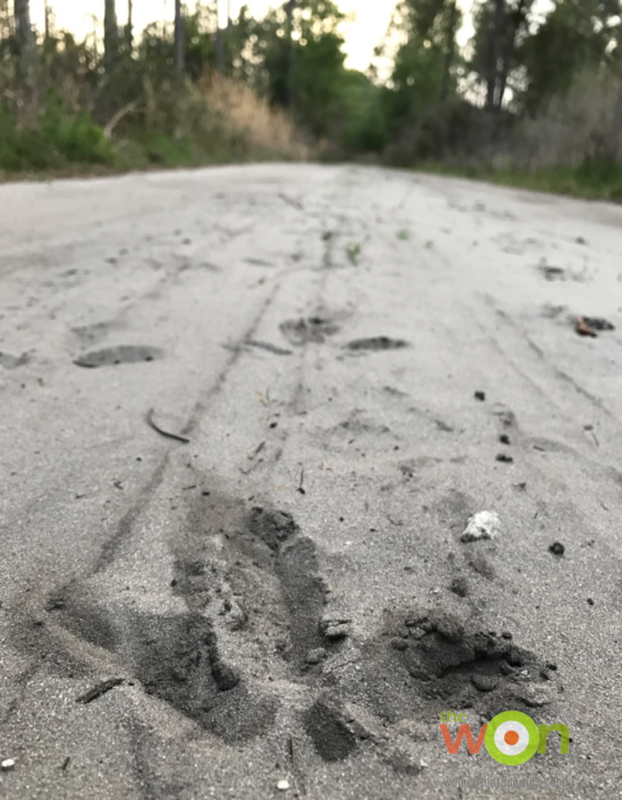 To be honest, I had a shot at one that was a few yards away and on the move away from the decoys, but for some reason, that shot (probably about an inch in diameter) hit the dirt, which was a true puzzler to me. This was the first time in turkey hunting that I had missed. We had no luck tagging Eastern toms while up in Tallahassee either. They had disappeared. The same thing happened in Texas, where Jessica put a tag on a bearded hen (doesn’t count). I actually took a shot, but again, for some reason, the red dot on my optic had been dialed down between patterning and shooting — about 2+ feet down. I shot a water trough. We finally found success in Colorado (after I worked with my red dot during a lengthy patterning session back in the Ozarks), high in the mountains and only because we hoofed it for several days, scouting with our guide. Note to self: Always mark the settings on your scope or red dot sight. That way, if it gets moved for some reason, you can easily reset. I used a metallic magic marker on my red dot last year after Texas. Jess Kallam and I took a minute for a memory. 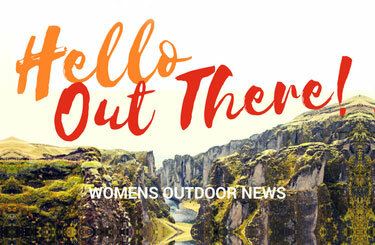 I learned several lessons from last year’s experience that I will certainly apply to choosing outfitters in the future, but the most important aspect that played out again and again … turkey hunting requires patience … and some luck. We took a quick time out to eat at Hobo’s, a great restaurant in Trenton, FL. That’s The Undertaker between us! 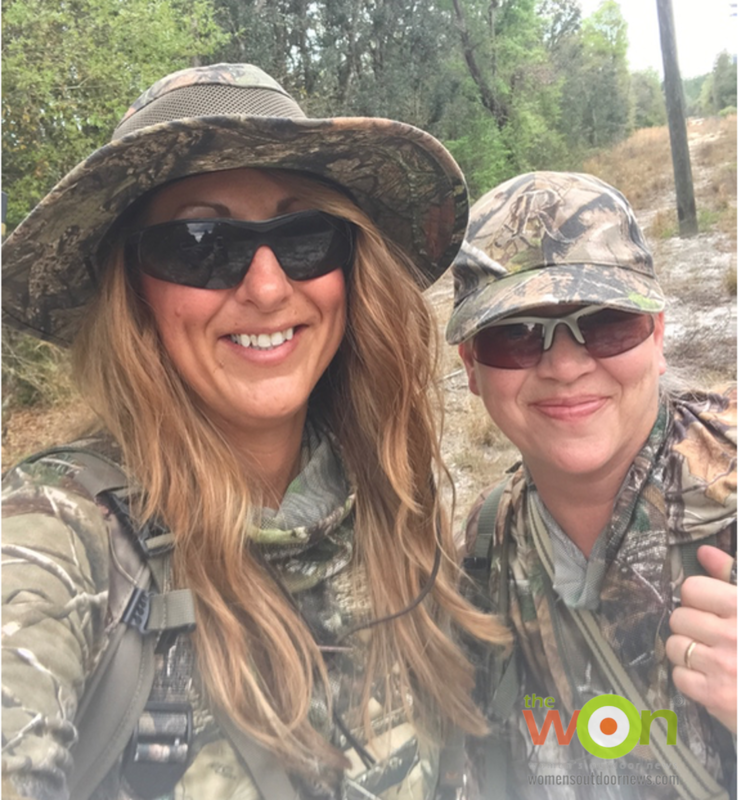 The Bomb (hubby) and I rolled into Florida last week, shortly after Mother Nature delivered 6 inches of rain and consequent flooding to the area where we were slated to hunt. We had been invited back to try again by one of my guides, “The Undertaker,” because he is a funeral director for real. He didn’t feel hopeful about day #1 – which found us slopping about, weathering rain and walking 2+ miles back to get our truck so that we could pull out his truck, stuck in a mud puddle. Oh, and during the walk back to the truck, Mother Nature let us have it again, in a horizontally delivered rain storm, complete with some lightning in the clouds for drama. Days 2 and 3 found things clearing up, drying up and the birds finding their voices again. Unfortunately, the 2 times we felt that maybe we’d seal the deal, some real hens picked off the toms. I told The Undertaker that I felt the hens used his calling skills and then, whisked in at the last moment and took away the toms in order to, well you know. So that’s that. I carried my Remington V3 for several miles and again, never lifted it to put the red dot on a turkey. The Undertaker is a natural in the turkey woods. Knows how to call. Knows where the birds are, and felt equally frustrated that the birds wouldn’t cooperate. They say the “third time’s a charm.” The Undertaker wants closure on this story, and so do I. The Osceola is the last bird to complete my Grand Slam, and I’m looking forward to returning next spring. So, this is only the beginning of my turkey season. 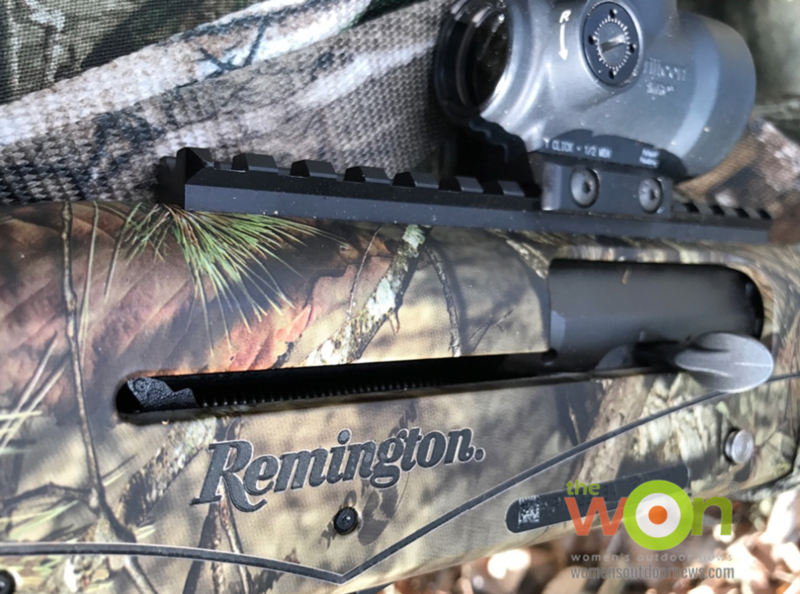 I’ll be out in the woods with a new turkey hunter here in the Ozarks soon, and I can’t think of a better gun than this Remington V3 Field Sport for her to use. It has such low recoil and since it’s a autoloader, it will send another round into the chamber quickly. Sometimes, it’s difficult for new hunters to remember to pump a shotgun after the first shot, so an autoloader takes the pressure off. Hopefully, I’ll be back with a success story from this next hunt and really, you can’t beat a “how I got my first turkey” tale. Your grit and determination is inspirational, Barb! I’m pulling for you next year to get that Osceola!